Our management team has 100+ years of combined experience servicing wealthy clients in healthcare, institutional investing, and private banking. This deep understanding of the affluent mindset distinguishes Custom Care Concierge versus the competition, and enables us to deliver best in class services to our clients. Dr. Felix Glaubach is founder and Chief Executive Officer of Custom Care Concierge. His experience in meeting and exceeding client needs dates back to 1974, when he founded Personal Touch Home Care along with his wife Dr. Miriam Glaubach. Dr. Glaubach held a variety of positions during his tenure at Personal Touch, including President, Vice Chairman, and Chief Executive Officer. Dr. Glaubach served as a Captain in the United States Armed Forces, and was honorably discharged from the Army Reserve. 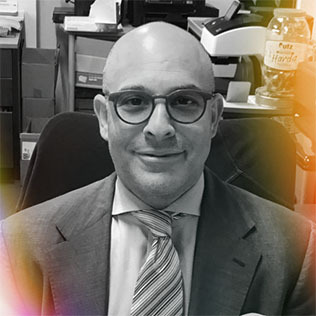 He is on the Board of Trustees of Yeshiva University, is a Vice President of Shaare Zedek Medical Center, and is active in numerous philanthropic projects. Jonathan Glaubach is Co-Founder and Director of Client Service at Custom Care Concierge. In this role, he is responsible for crafting Custom Care Concierge’s unique offering, anticipating client needs, and going above and beyond to ensure the entire team delivers best-in-class service. Previously, Jonathan spent 20 years trading a variety of financial instruments in the global financial markets. He received a Bachelors in Business Administration from Bernard M. Baruch College, and currently serves on the Board of Directors of Hebrew Academy of Five Towns and Rockaway and Kulanu. Michele is the Director of Marketing and Sales of Custom Care Concierge, responsible for developing and implementing client acquisition and retention strategies. Previously, Michele spent 30 years at a select group of global investment banks including Lehman Brothers and J.P. Morgan, managing financial relationships with institutions and serving as a trusted advisor to affluent clients. 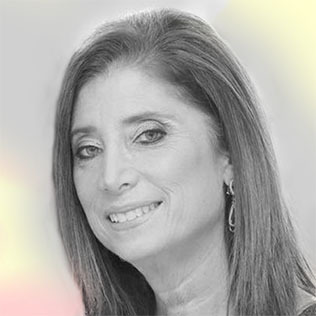 Michele received her Bachelors in Business Administration from Bernard M. Baruch College. She serves on the Board of Directors of anti-poverty think tank and 501 (C) (3) Charity Rock and Wrap It Up!, and on the Executive Committee of Financial Women’s Association, Long Island Chapter.